Chris Hemsworth is the reigning Sexiest Man Alive. As you know, not really my jam. But I’m told I’m in the minority because he’s really tall, handsome, blonde, fit, and has an accent. OK. Also he’s holding a baby here. So, you know, even though he’s not for me, I do understand that part of my job is to contribute to your spank bank. Have at ‘er. 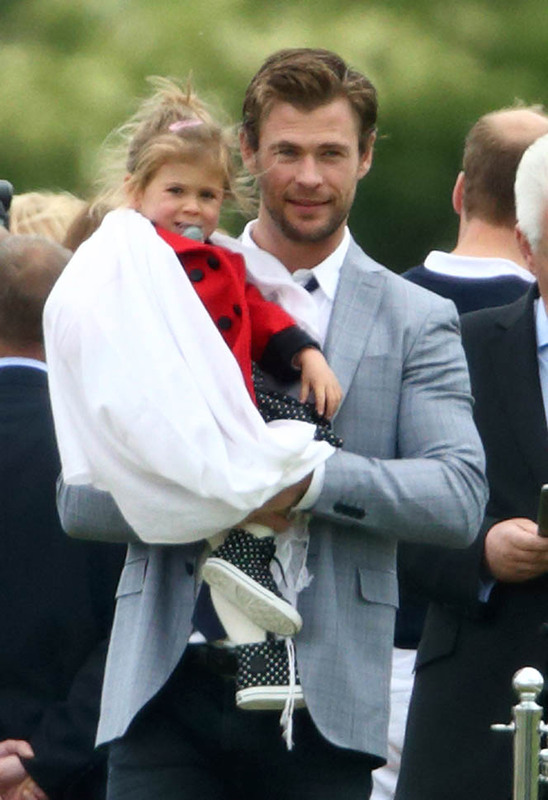 Chris was at the Audi Polo Challenge with Elsa Pataky and their daughter. Never knew she was my height – short, that is. 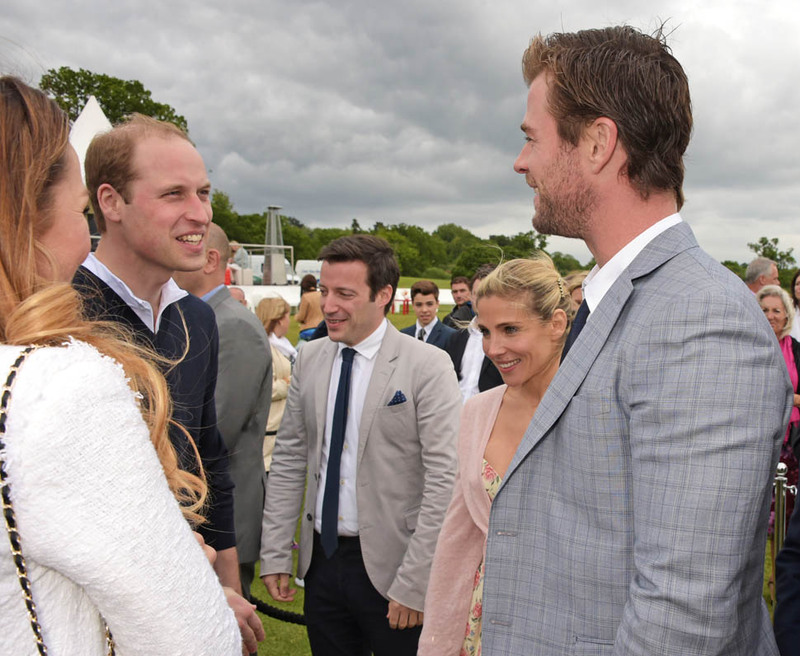 They met the princes, William and Harry. They hung out with Emily Blunt. Chris and Emily have been in England, working on The Huntsman. She plays Charlize Theron’s sister, the Snow Queen, a villain. Clearly they’ve all become quite close. More importantly though… her shoes!